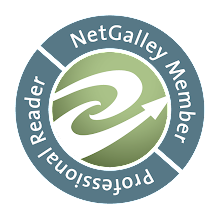 Now, most of you know that Urban Fantasy is not the genre for me. I usually can't get into them, but Faelorehn turned out to break that usual stigma of mine. I am not saying that I am jumping on the Urban Fantasy bandwagon, but I am jumping on The Otherworld Trilogy bandwagon. 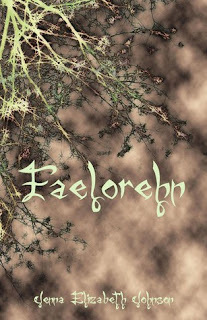 Faelorehn gets a lot of its plot and inspiration from Celtic Mythos, and I think that it was really won me over. The Celtic myths were very interesting to learn about and instead of having to deal with a story where everything is made up and you have to just try to believe it, you are dealing with things that were once or still are believe to be true. It was definitely a very different experience, and one that I really enjoyed. If you are unfamiliar with Celtic Myths but have read any YA or fiction dealing with greek mythology it is pretty similar, reading experience wise. The characters in this novel were very well done. Meghan was a very likable character and made it easy to kind of body swap with her and understand where she is coming from. The only thing I didn't like about Meghan is how she doesn't listen to Cade about who not to trust and that once she starts figuring out who she is she hides it from her friends (I get that part), but then lets the fact that she can't tell them completely change her. She goes from being a pretty happy girl who hangs out with her friends all the time to a completely depressed girl who never leaves the house. Obviously her friends see this change in her and bother her about it, but she can't tell them the truth so it just ensues a bunch of problems with her friends. I mean she could probably fill at least her girl friends, the ones who actual notice a change in her, in at least a little bit. Her friends were all very well done with each of their own very unique personalities. Cade was a little harder to figure out since he is a very complicated person, but I hope to figure more out about him in book two. I think the story was very well written and compelling. I love that the chapters had titles, because then I knew where to stop if I was getting tired, because based on the titles I knew if I kept going I would be sucked in to finish and then be completely sleep deprived lol. I absolutely love that it is based on myth, because it made it so much more interesting. I also love that it is based on Celtic mythos, because I have never heard of them before so it was a completely new experience. I think the ending was fairly good. It wasn't a bad note, but it also wasn't necessarily a good note. When reading the ending I felt like I was reading a movie script, and I liked that. Faelorehn was very well done. I really loved that it was based on Celtic mythos, because it was a very new and wonderful experience. I loved how all the characters were easily identifiable and didn't all start to blend. They stayed true to themselves. I am very interested to learn more about Cade's character, though, because he was very complicated in this book and I hope he will show more of himself in book two. If you are one who likes myths then this is definitely a book to look into, and even if you haven't read a book based on myth's before but are into YA or Urban Fantasy you still might want to look into this.